lol i was like hmm those cars look familiar. nice to see the car. what plans do you have for the goat? Sorry guys, but the Supra is by far my favourite car in this thread. J-spec Supra? I'm guessing you mean a Supra RZ, since that's what they're sold as in Japanland. Any sort of plan for the GTO? A full on Monaro conversion would be secks. Welcome! 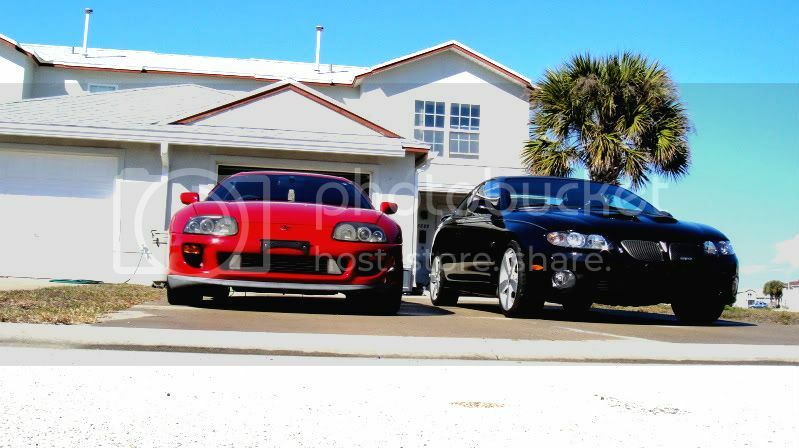 Are you by chance on ls1gto.com? sick collection!!! welcome to the site from a fellow goat owner. when i was shopping for mine i REALLY wanted a PBM but couldn't find one priced right around me. but its okay i love my QSM just the same. Yeah it was from japan, right hand drive and all. 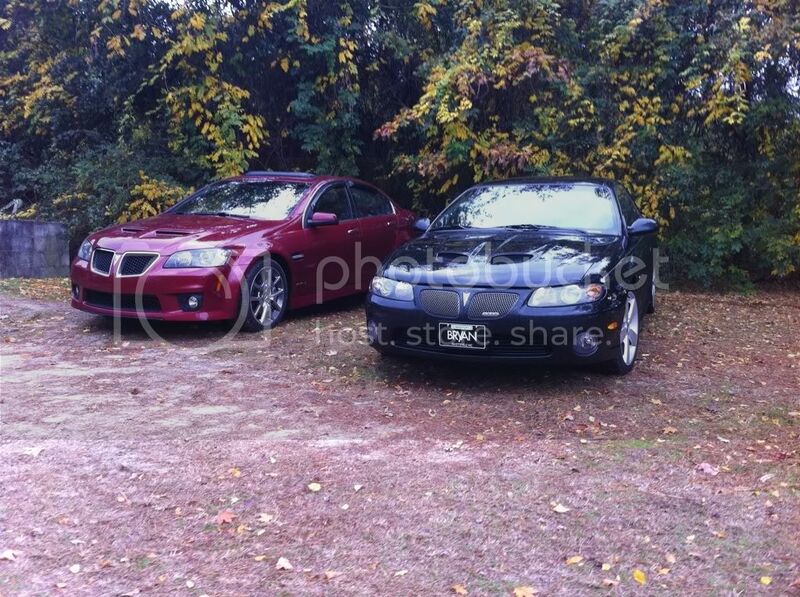 As for mods on the GTO, I'm only looking at Kooks LT headers, and a few other minor things for now. I REALLY want a procharger. I'm willing to hold out for that. I've already got a Kooks exhaust on it. Everything else will be appearance. I am! Same forum name. I looked for two years for my goat. My dad called me one day and told me he found the exact thing I was looking for up in NC. Needless to say, I hopped in my car 3 days later and brought her back here. Sounds like a plan with the goat. More of the Supra RZ plz. Nice to have another chick thats into cars here! Im guessing thats you in your avatar? In that case Herro thar....... haha. Great cars. Id love to get myself a GTO someday. More pics plz. great choice of cars!!! Diggin the supra. needs a nice drop though but keep up the good work! That supra is sick. Also love the G8 GXP. Nice cars. Look closer, there's a picture of a G8 GXP. 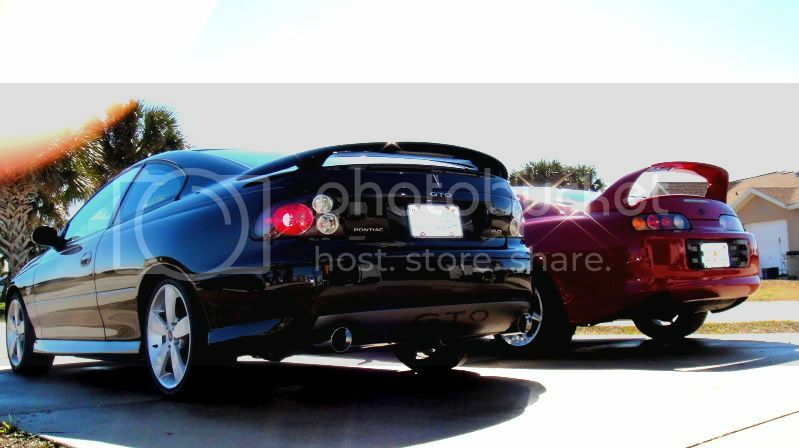 When these pictures were taken, the supra had no engine, it was actually in the garage being built..notice there is no exhaust? haha. I'll be sure to post a few pics now that it's finished. Now that you pointed it out, there is no exhaust on the RZ.